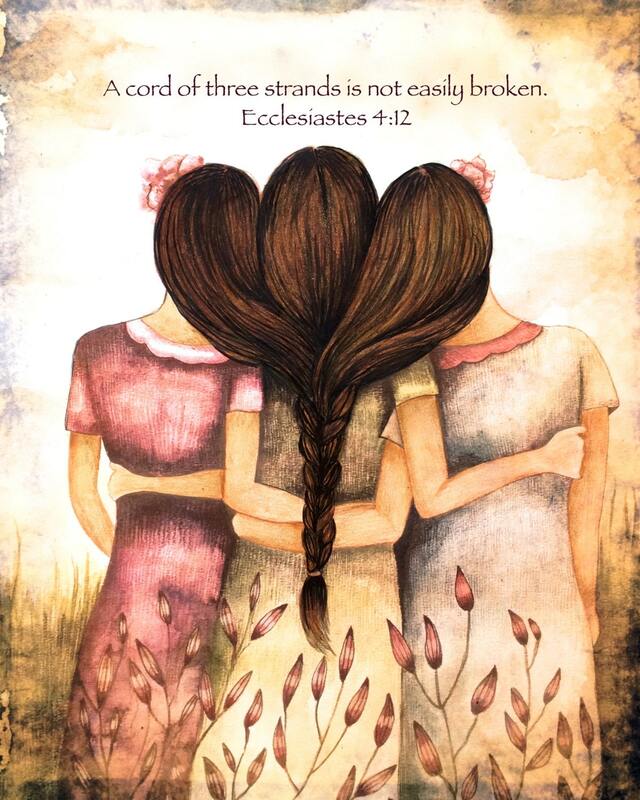 Three sisters art print " A cord of three strands is not easily broken. Ecclesiastes 4:12 "
Exactly as pictured and ordered 5x7! Thank you for the extra print!